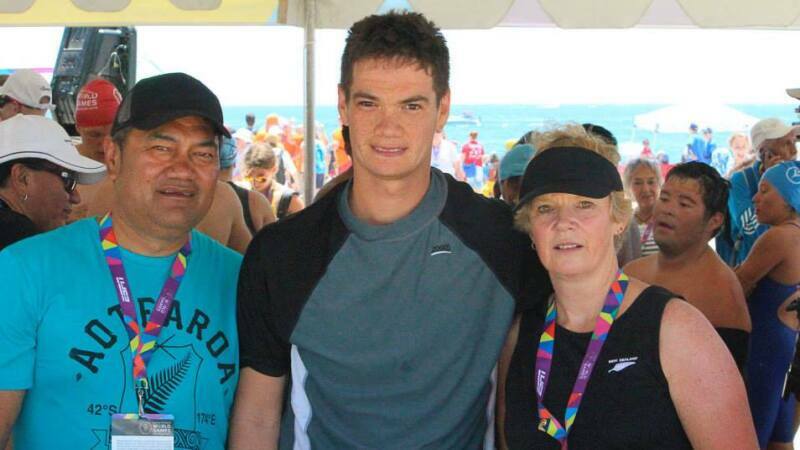 Special Olympics New Zealand athlete Sam Muir-James conquered an amazing 40.5km swim from Taupo to Turangi in February with an impressive time of 15 hours. Sam kicked off his swim at 4:15 am and was followed in a rescue boat by coach Jane Logan and long distance veteran swimmer Phil Rush, who replenished Sam with food every hour. Seven hours into the swim he passed the island in the middle. This was when the hard part started as any athlete knows that the space between halfway and three-quarters is where the struggle is. Sam slogged along swimming slower and slower. His feed stops were increased from hourly to every 45 minutes with food, drink and heaps of encouragement. Sam’s whole swim pace had halved and it looked like his legs were cramping. At that point he was asked if he wanted to go on. The answer was an abrupt and emphatic “yes”. The last few hours were tough but Sam battled through and now has his sights set on the Cook Straight crossing as his next challenge!